In 1809, local entrepreneur William Bourne discovered the strength and quality of our local Derbyshire clay. He set up a factory employing local craftsmen and kicked off the tradition of jollying, fettling and handcrafting. 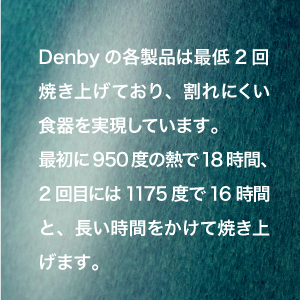 And so began the story of Denby. 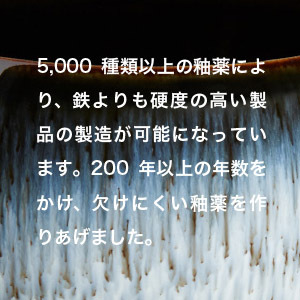 We also invented secret glaze recipes, that when fired to the right temperatures give each piece its unique and durable surface. Our Majolica glaze is over 100 years old and simply stunning, we are sure you'll agree. As the nation emerged from the darkness of the wartime years, our vibrant Electric Blue glaze captured the cheerfulness of peacetime. Our designers have reflected its captivating glaze effect in modern designs like Halo and Praline. 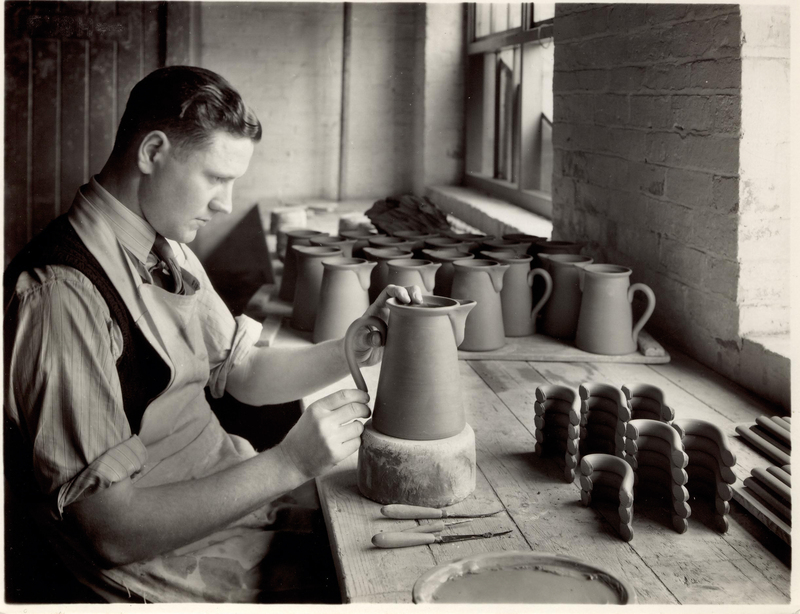 Denby really started to take shape in the 1930s with strong designs like Epic and Cottage Blue. 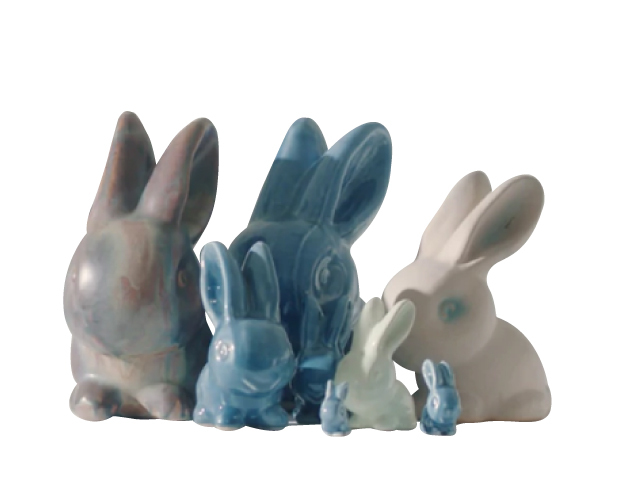 And a few loveable characters like our Marmaduke rabbits first hopped into our hearts. 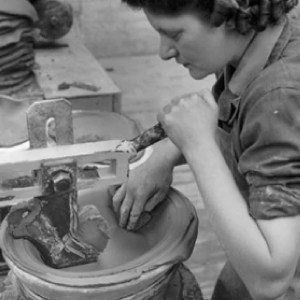 Into the 1940s, wartime restrictions meant Denby ran out of all other glazes apart from Utility Brown. Aptly named, as our craftsmen rallied together and filled the kilns with practical Naafi teapots, rum bottles for the navy and even telegraphic insulators and battery jars to aid the war effort. With the new spirit of freedom, Albert Colledge and his son Glyn brought modern design into the post war home. The transformation from merely useful to beautiful values helped to establish the tableware company we all recognise today. Extraordinary designer Tibor Reich, was the son of a Hungarian ribbon manufacturer. 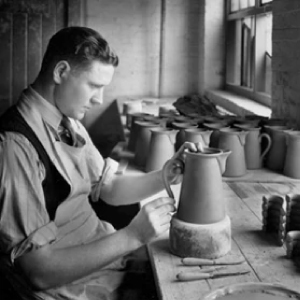 His eclectic designs graced the inside of No 10 Downing Street and Concorde, putting Denby firmly on the design map. 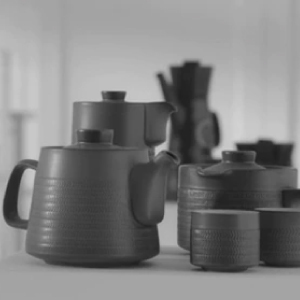 As people started to travel and broaden their horizons, Denby definitely put the hip into homewares. Our designers have taken inspiration from our archives and the groovy look of Heritage Veranda brings flower power back to the tabletop. 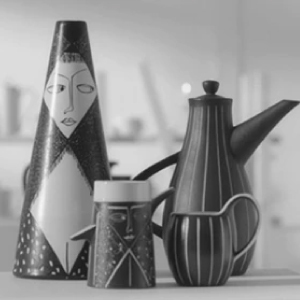 Our distinctive Arabesque design was inspired by a trip to Russia and quickly became a much loved tableware range. Over in the US the distinctive tread effect of Chevron had to be renamed as Camelot, as the original was the name of a rather well known chain of petrol stations. Flashback to the eighties, an era of exuberance and excess. Our stunning Imperial Blue and Regency Green championed classic over chintz, proving that strong design will always stand the test of time. Beautifully textured glazes and bold shapes make our ever popular ranges as relevant today, as they were 25 years ago. These worldwide best sellers are showing no signs of going out of fashion. The best kept secrets have always been our glazes and the likes of Halo and Azure really come to life when they're fired in the kiln. 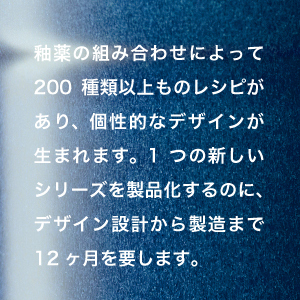 With tiny particles of glaze, exacting temperatures and a little specialist know-how we can create pottery works of art. Today we continue to go from strength to strength, crafting timeless collections that exude English heritage and seeking our new trends to create modern ones. We've masterfully updated some of our vintage patterns in our inspirational Heritage range and the stunning Natural Canvas collection. 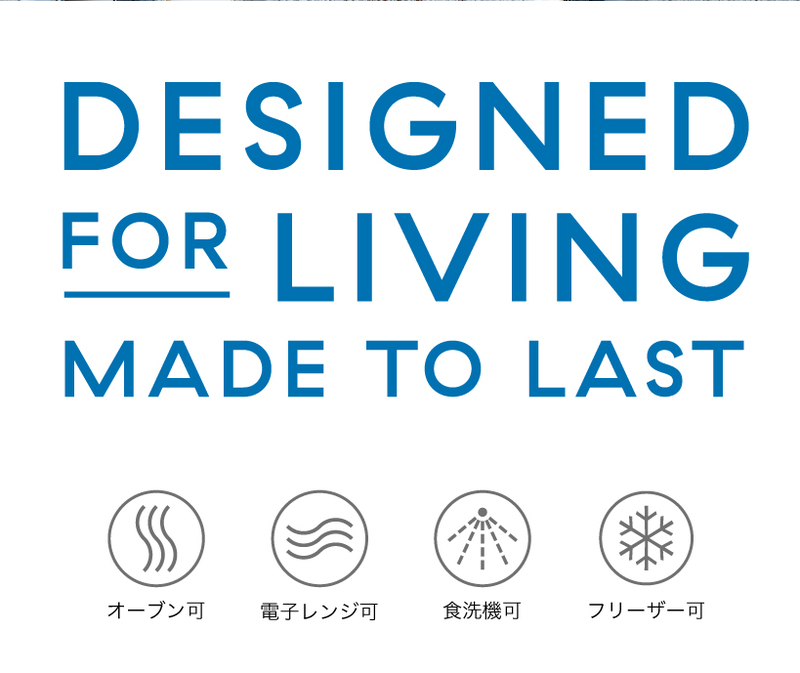 From Friday night to Sunday lunch, Denby brings you the best of both culinary worlds. 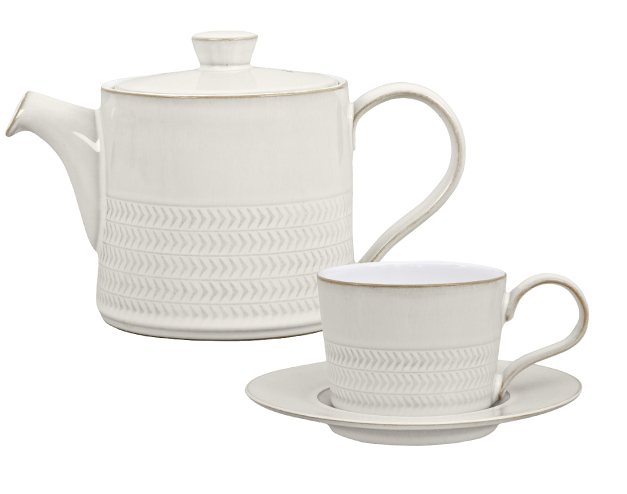 Practical every day tableware and stylish sets to make any occasion special.